The problem with the “No, but…” response is that it sets up conflict, and no forward progress in idea generation can be made until the conflict is resolved. Worse, conflict resolution wastes time and energy and discourages more idea sharing. The “What about…” response almost always follows with some scenario or example that counters your idea in some way. Your response will often be an attempt to resolve that counter example, which when solved will be rewarded with a new and different counter example. Corner case upon corner case, what was a clear, bold and brilliant idea, gets designed into a complex, multifaceted feature that is costly to explain, build and test. 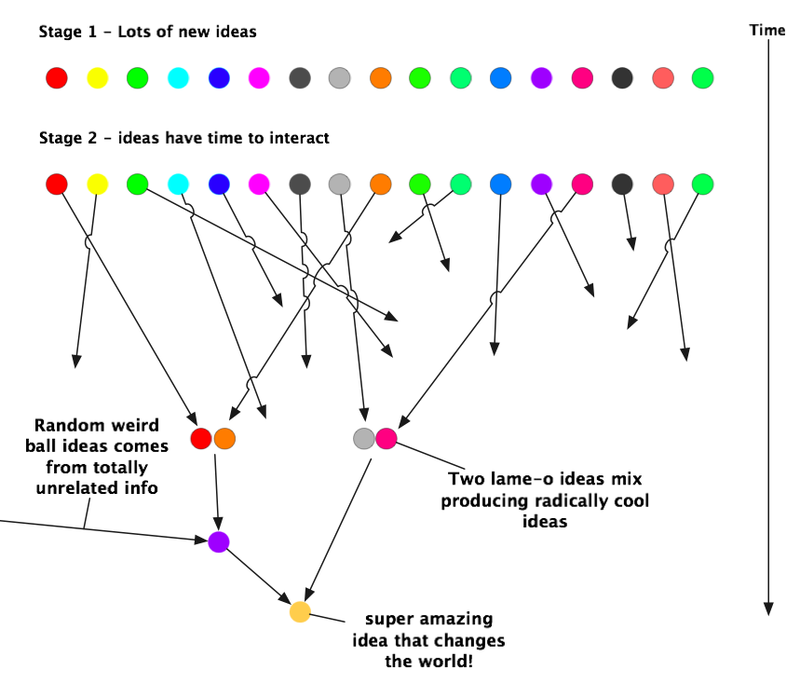 If you share your ideas with a team of smart people, this can happen in a disastrously quick manner. Impatience is perhaps the subtlest of innovation killers. You will need patience as you develop the ideas because it will be hard to teach your idea to others, and then once the vision is clear, it will take yet longer to actually implement it. Remember it took Steve Jobs 18 months to convince the record labels to let him build the iTunes music store. If you back down at any point in this long journey, that is when innovation dies. This is why I believe, in so many ways, it’s all about the execution. Ideas are important too, and when you are generating ideas, being creative, all too often a well meaning individuals will ask you to rate the ideas and place them in priority order for potential business impact. This is a good idea, but done too soon, it’s like asking a 3 year old what valuable contribution he or she will make to the world, and bereft of any intelligible response condemning the toddler to uselessness. When creativity flickers, don’t let the cold winds of cost benefit analysis prevail. Provide the fuel of saying “Yes!” and patience to wait and see, even if you must suspend your disbelief. This will give people the space and time they need to make great things happen. Remember it took Michelangelo years to complete the Sistine chapel and Goethe spent almost 60 years writing his masterwork Faust. Good things take time. Focus on execution, on making ideas reality. For every thousand great ideas, only one reaches someone with the courage to actually do something with it. Stop saying “No, but…”, learn to say “Yes, and…”, find a way to talk about ideas that adds more and moves them forward. Give folks what they want. Suspend your disbelief. Be patient, great things take time. 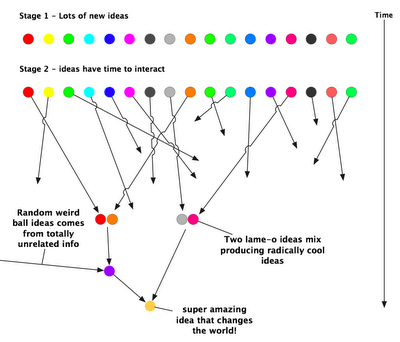 The really great ideas are going to be a collision of ideas. Let them grow so they can interact. Posted in design, innovation, vision. Big blogging live!I love you post. Respect. Truly educational. We have a culture of killing innovation here at our company and I’m trying to think how to use some of your suggestions to help move innovation forward.